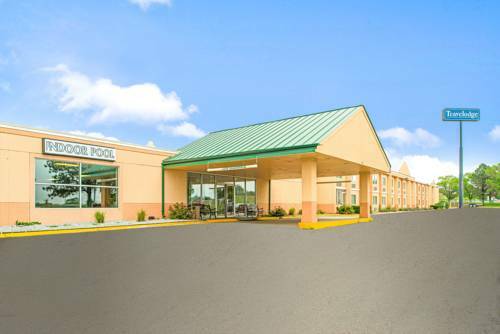 The Travelodge Lincoln is located just off Interstate 80 at the Lincoln Municipal Airport exit 399. Our Travelodge is just 5 minutes from the airport and 5 minutes from Historic Downtown Lincoln. Our Travelodge is a convenient 10 minute drive to the University of Nebraska, the Devaney Sports Center, Memorial Stadium and the Lied Center for the Performing Arts. Other attractions and points of interest near our Travelodge include Lincolns Childrens Museum, Folsom Childrens Zoo and Botanical Gardens, the State Capital, Museum of Nebraska History, Haymarket Park Baseball Stadium, the Ice Box Hockey Arena and the Sunken Gardens. During your stay at Travelodge Lincoln be sure to visit our Historic Haymarket District with abundant shopping, a variety of dining options and exciting night life. As a Travelodge guest you will enjoy our free continental breakfast, free high speed wireless internet, all new business center, and Exercise Room, our heated indoor pool and hot tub as well as guest laundry. You will also enjoy the convenience of our on site restaurant and lounge, bar and grill.